Satta Matka is a popular Indian gambling game played like lottery. Satta means ‘betting’ and Matka means an ‘earthen pot of money’. Satta is not legally allowed to be played in India but it is commonly played in the states of Maharashtra, Bihar, Jharkhand and some parts of UP too. This game of lottery is most favourite among Indian business men and their families who love to play this game at great Indian festivals and more particularly at the time of the opening and closing rates of Indian commodities in market like cotton. Now there are more convenient ways to play Satta Matka that generate random numbers such as drawing lots from pots or Matka. Assuming that the person who draws a number from the pot doesn’t know what he gets beforehand, this provides an adequate amount of randomness such that the numbers that come out are unpredictable. Most of the satta matka games are now held online and the game is changing its old ways to new ways being adopted to enjoy this game. 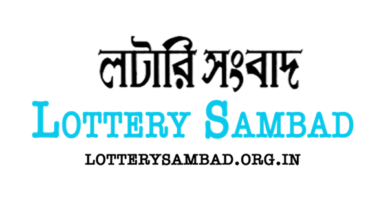 Satta or Matka a simple game of lottery was first founded by Ratan Khatri back in the 70’s and was popular up until the 90’s. The game is now played only on festive occasions that too is some regions of India. 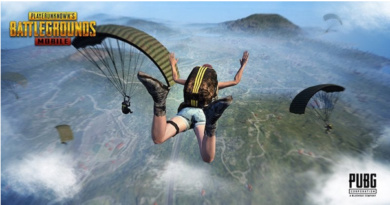 That is because now people love fast paced games like betting on cricket, playing at online casinos, playing slots on mobile or live dealer games. Ratan Khatri the Matka king was arrested in 1995 at Mumbai and since then this game started losing its players in the real world. Though online Satta Matka is still offered to play and is popular lottery game where the attraction of matka is a small amount of money can be turned into several thousand times that amount if the player is lucky enough to choose the right numbers. There have been actions to legalize this game but still laws are not clear and police regularly crack down on matka operators in India’s cities. Matka operators are a multi crore business specially in Mumbai where this game is widely played and often fierce battles for control of local matka markets lead to killings and violence. The advantage of online matka is that it can operate in a highly regulated environment with lots of checks to make sure everything is 100% honest. The draw can be done by independent outsiders and legal regulators can ensure that all winning players are paid on successful matka bets. Pick two sets of three single-digit numbers. Suppose use 1,2,4 and 3,6,9. The sum of each set is then taken, with the last digit of each sum being paired with each set. For example, since the sum of the numbers in the first set is 7, and the last digit of 7 is still 7, you get 1,2,4,7. As for the second set, the sum of the numbers is 18, and the last digit is 8, therefore you get 3,6,9,8. The final set of numbers then become 1,2,4,7 x 8,3,6,9. Next you select a bet type. You can bet on all the numbers, which would be a huge risk and a ridiculously low probability of winning, or you can bet on certain numbers, which would be a small risk but a bigger chance of winning. Then select a payout option. 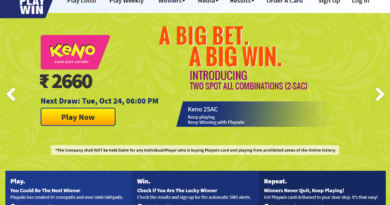 What’s interesting about satta matka is that you can adjust the payout multiplier just like in some casino games. Take note, however, that the larger the multiplier is oftentimes, the smaller your chances of winning. In short, the larger the return, the larger the risk it entails. Most gambling machines have limits as to how much money can be won for a certain amount of time. Suppose someone hits the jackpot today, chances are, nobody’s going to hit the jackpot again anytime this week or next. That being said, while satta matka is also a game of chance, your chances of winning increase when your bets are small and if nobody has won a huge amount of money recently. That means bet lower and bet only when nobody else is winning. While there are still no computers that can produce truly random numbers, the numbers it gives out are still unpredictable and usually pattern-less. That shows that there is no particular system and strategy that will work here but it is sheer luck to win the game. Where to play Satta Matka? There are a lot of games to choose from and this is one reason many people love to play Satta Matka. You can pick up the lottery card in order to win the jackpot amount. You can play Kalyan Matka which is played from the state of Maharashtra Kalyan city near Mumbai; then there is Mumbai matka; also there are many names given online to this game like Milan nights, Rajdhani nights so on and so forth. Earlier the game was conducted by the bookies and the winners were announced by the same when the game was played by the cotton mill players of Bombay. Also it is played secretly among business owners at their parties and festivals. With the passage of time, the game is played online but with players own risk to win or lose. 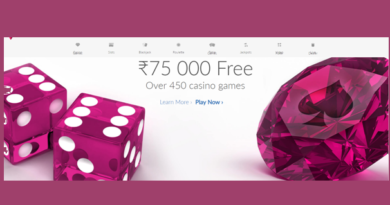 The game is played online at various Matka websites like Sattajackpot.com; Sattamatkag; Onlinematka.net ; SattaMatka Rocks and other Indian casinos and online casinos. Also you can play Satta Matka with your Android or smartphone. You just download the free app at Google Play store and enjoy the game. You can play most European and American lotteries online at WinTrillions.com. Satka Matka results are published online. These results are based on draws which is done with total security. They are declared as true number which appear from the draw. The online site gives information which is true and awards the winners. These games are shown on daily basis and the Satta Matka results are put up on the charts. 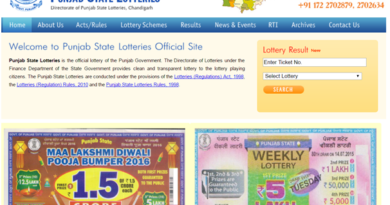 It is always advisable to check the online websites that offer Satta Matka before you register yourself to play. Also it is warned to play and bet at your own responsibility. The information provided in this post is just for information and winindia.co.in or its team has nothing to do with the third party websites mentioned as examples. Therefore players should check the online casinos and websites before indulging in real money play.